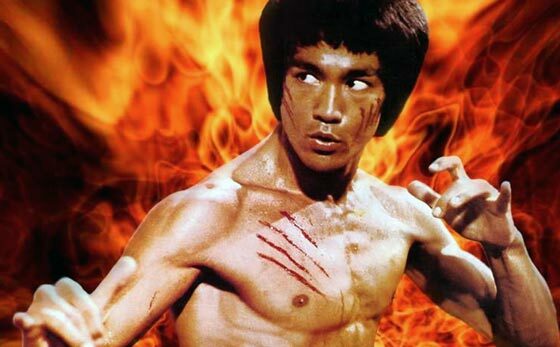 The Bruce Lee Workout reveals the secrets to his routine. 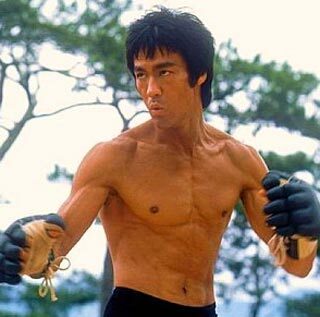 Bruce Lee is known for having a lean body, yet he was full of strength and agility. Lee was very secretive about his training. This is because martial arts centers around personal growth and inner strength, it’s not something you gush about. 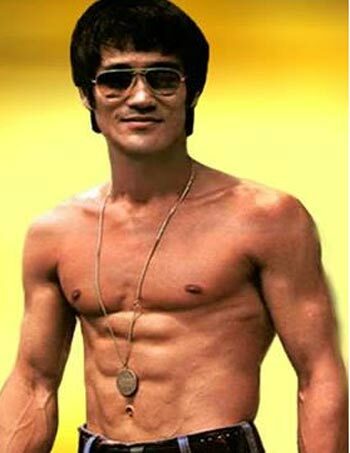 Bruce Lee’s workout was discovered by his daughter, Shannon Lee. 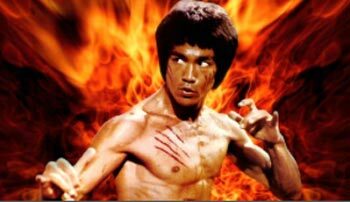 Shannon Lee shared the Bruce Lee workout that she found in her late father’s possessions. The workout and training notes were featured in Muscle & Fitness (October 2014 issue). Don’t allow your goals to be superficial. Think deeply about your motivations, and pursue them in ways that elevate your performance. Accept what is useful, reject what is useless, and add what is essentially your own, and apply it to your workout. 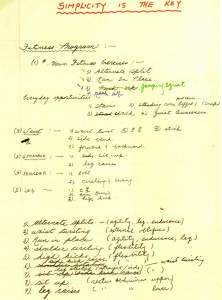 Bruce Lee developed a circuit training routine long before it was popular. 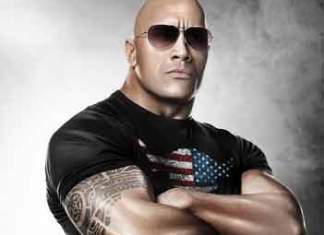 He found that training all his muscles was a more balanced approach. For his goals, it was much better than focusing on a singular muscle group. 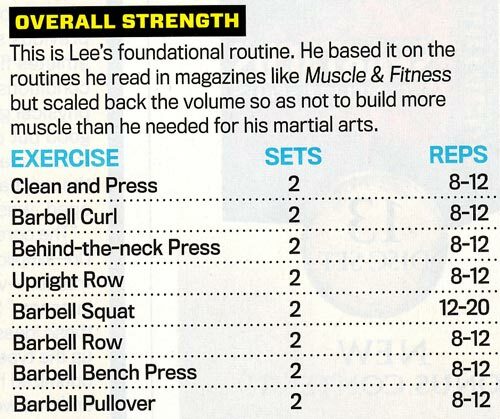 This is because Bruce Lee was focused on power and agility, but not massive increases in size. For anyone focused on a lean frame, circuit training is the way to go. By doing different exercises for different body parts, blood has to flow much quicker. As your blood is flowing quicker through body, your heart has to work harder. Circuit training requires more pumping blood, increasing your heart rate. An increased heart rate during weight training (or cardio) is the key to fat burning. 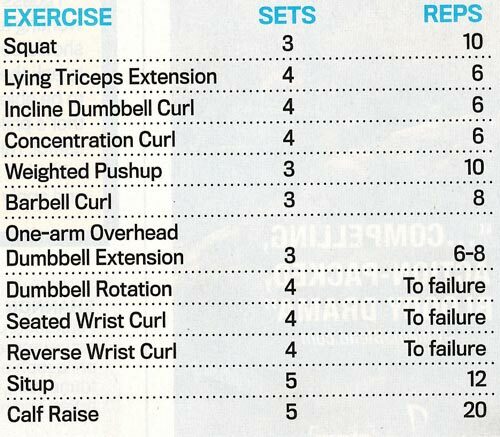 The Bruce Lee Workout for lean muscle gains was something he created when he wanted to get bigger. 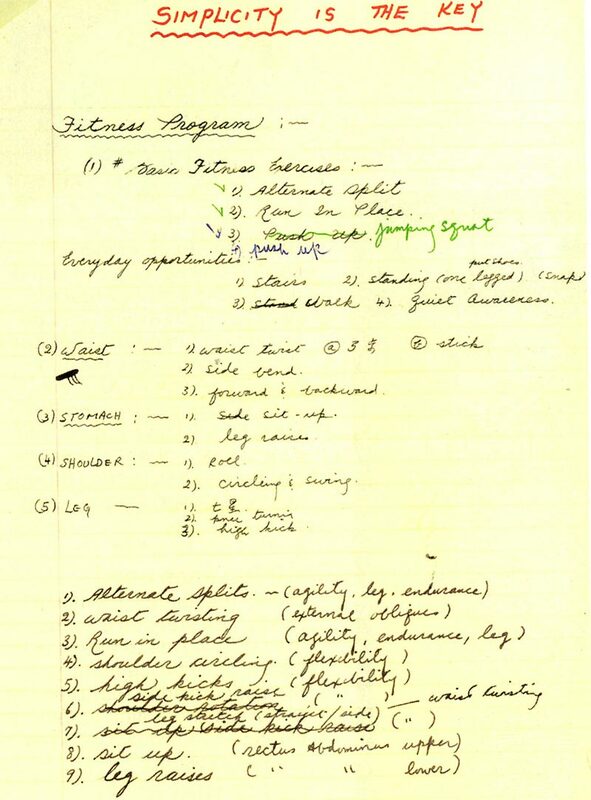 Bruce Lee created a workout routine designed for lean muscle gains. This workout helped him gain 3/4″ (1.9 cm) to his upper biceps in just 44 days! 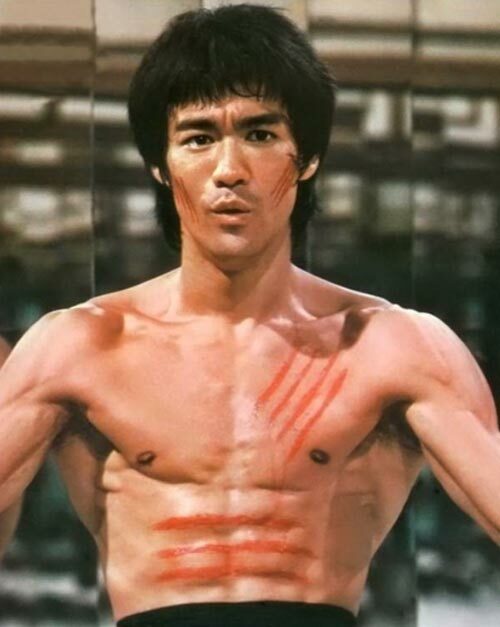 Can I get a body like bruce lee im a skinny fat but my hips are 38 inch still an ectomorph?